The adverse effect of electrical and electromagnetic fields on humans has been proved as a result of multiple investigations. Personnel operating the high and extra-high voltage installations as well as the majority of radiating installations of radio-frequency range are exposed to such effect on daily basis. Influence of these technogenic factors leads to development of serious human pathologies including malignant tumors, cardiovascular, nervous, immune and endocrine system embarrassment as well as reproductive function disturbance. Long-term experience of development, implementation and application of protective measures has shown insufficient effectiveness of “time” and “distance” protection principle. In many cases the technology of works execution requires presence of operating and repair personnel in the areas of high field intensity for prolonged period of time. Stationary shields mounted on the open switchgears and high voltage substations generally provide for decrease in field intensity level to the acceptable values. However their coverage area is very limited because of necessity to observe the required clearance while assembling the high-voltage equipment and is determined by geometry of the operating devices. All such measures are simply impossible while working at power transmission lines without voltage removal, as well as at cellular communication relay towers, tele- and radio-transmission antennas, etc. In such conditions the most universal and effective means of personnel protection are individual shielding kits of Energoform NPO, which, independently of electrical fields intensity level and duration of works execution, provide for the guaranteed 100% human protection against the entire spectrum of injurious effects resulting from electric field of commercial frequency – capacitive currents, induced and pace voltage. Besides, due to application of shielding kits a person gets the guaranteed protection while working in immediate contact with wires, overhead transmission lines being under voltage of up to 1150 kV inclusive. 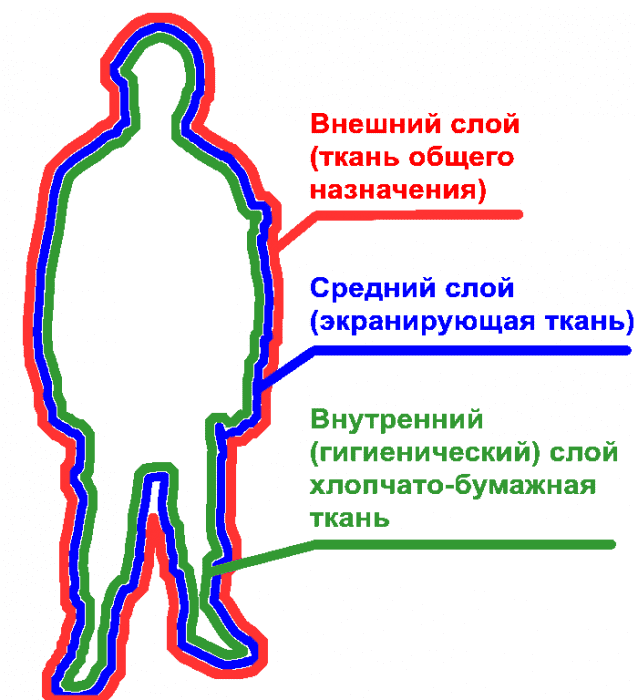 Furthermore, by means of conductive clothing the effective protection against action of electromagnetic radiation of radio frequency band is provided for the personnel operating the majority of radiating installations. 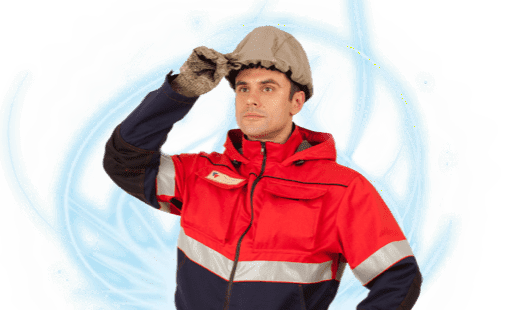 It is important to note that Energoform is the only company in the world that produces certified conductive clothing intended for winter use. All models of conductive closing developed and produced by our Company correspond to the requirements of the Russian and International standards (GOST 12.4.172-87, IEC 60895) and are certified by GosStandart. Their use is permitted by the Department for State Sanitary and Epidemiological Supervision of Russia.